Herman and Chomsky's 'propaganda model' argues that there are five classes of 'filters' in society which determine what is news; in other words, what gets printed in newspapers or broadcast by radio and television. They are: ownership (is the story in line with the media owners interests); advertising (is the story in line with the advertisers interests); sourcing (does the story come from government departments and/or other powerful players); flack (if the story is aired, can the subjects of it pose a real threat, like the government, big advertisers and other organized groups); and ideology (does the story justify political maneuvering and defend corporate interests around the world). Whether a news item is going to be used by the media, or not, is going to depend on whether it can pass through these filters. Filtering the News begins with a critical review, and assessment, of the propaganda model, then applies Herman and Chomsky's model to a range of ongoing news events including: Bush's war propaganda machine and the American mainstream media; Israeli propaganda; El Salvador and the question of intellectual responsibility; news coverage of near-genocide in occupied East Timor; the media on the environment; and Dan Rather and the problem with patriotism, American journalism, post-9/11. 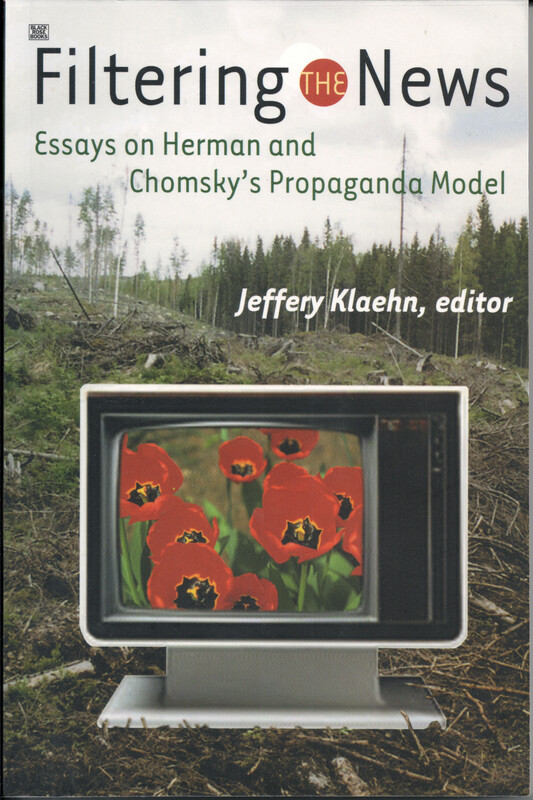 In the final chapters, Herman and Chomsky's propaganda model is revisited, and several common criticisms of the model are reflected upon and scrutinized. Contributors include Valerie Scatamburlo-D'Annibale, Bob Everton, Peter Eglin, Robert Jensen, Jeffery Klaehn, James Winter, and Robert Babe.